Sad times sweep anyone under the rug; and a widow whose husband passed away in 2005 is now working to reopen his case despite probate time running out after six months. The eighty year old widow has asked permission as required by the Inheritance Act 1975 as she claims she did not receive sufficient provision financially from the will. Although her claims held merit as a Court of Appeals Judge mentioned, the problem lies with how much time had passed since the death of her late husband and how probate litigation laws apply. Her husband’s estate was valued close to £7.5 million dollars, and both had children from previous marriages including the husband’s two sons. Evidence may suggest that perhaps the widow had not even been fully advised on the situation and how to handle it properly. Six and a half years since the will was granted probate later, she now fights for her stability. The Inheritance Act of 1975 Section 3.1 held out considerations for the estate and how it would grant reasonable financial provisions, but the Judge still said no; too much time had passed since probate. At a time of loss it is difficult to comprehend all necessary steps and handling all the procedures can be tedious, time-consuming, and somewhat impossible to please everyone in the matter. Taking advantage of expert help in administering a probate will make for a smoother, faster probate with fewer problems and will often result in greater net estate assets that can then be distributed to the estate’s heirs and beneficiaries. 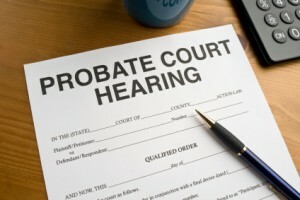 The California Probate Process is a “legal process” that begins with a “Petition for Probate” (or “a request”) to open the estate and name a “Personal Representative” (oftentimes called an Executor or Administrator). The Personal Representative will be responsible for the administration of the decedent’s estate, including all property and assets. A “Notice of Administration” is sent to involved parties. Creditors then have a defined amount of time in which to file their claims against the estate from the date of the first publication. If the Executor or Administrator deems creditor’s claims worthy he or she can pay them or may challenge them in court if there are doubts to their authenticity. Next, the Executor or Administrator can distribute any remaining estate assets among any heirs and beneficiaries. Finally, to complete the California Probate Process, a Petition for Discharge is filed, and with the approval of the Probate court, the estate is closed. At The Law Offices of Vincent W. Davis & Associates, we are Probate and Trust Lawyers who handle all Probate and Estate Administration needs of our clients. We are knowledgeable in how to pass property to heirs and loved ones, and when possible, without costly Probate proceedings. If Probate is necessary, we can handle it for you or at your side – efficiently, compassionately and as quickly as possible.